For Lithuanian carriers transporting international cargo in 2017, Belarus has already issued 33 thousand bilateral, 128 thousand transit and 5 thousand permits for the transportation of goods to / from third countries. It has been agreed at the road transport joint commission meeting of Lithuania and Belarus in Minsk, on August 23-25, where preliminary permits quota for passenger transportation has also been established for 2017. 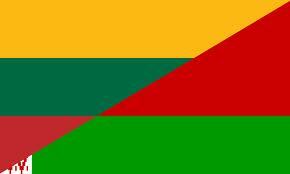 Statistics of both countries for trade between Lithuania and Belarus, regarding freight and passenger transport by road, were presented at Bilateral Commission meeting. The decrease of trade and passenger transportation between countries and transits were highlighted, but permits quota will not be reduced. Lithuanian representatives of Ministry of Transport and Communications and State Road Transport Inspectorate under Ministry of Transport and Communications were very concerned regarding Belоrussian customs seized vehicles, which were used for goods transported between the Customs Union countries. Belarus informed that changes in customs code are already prepared and approved. They will allow to transport goods between Customs Union countries. It is planned that the changes will take effect from 2017.